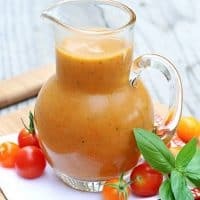 TOMATO BASIL VINAIGRETTE — Fresh tomatoes are pureed with basil and seasonings to create this tangy vinaigrette that’s perfect for salads, pasta and grilled chicken. It’s that time of year where I’ve got an abundance of tomatoes coming from my garden. And as much as I love them, I really appreciate new ways to use them, like this Tomato Basil Vinaigrette. I’ve also got tons of basil coming from my garden right now, which makes me love this recipe even more! I also love that you can use pretty much any variety of tomato in this vinaigrette (don’t worry about chopping cherry tomatoes beforehand). 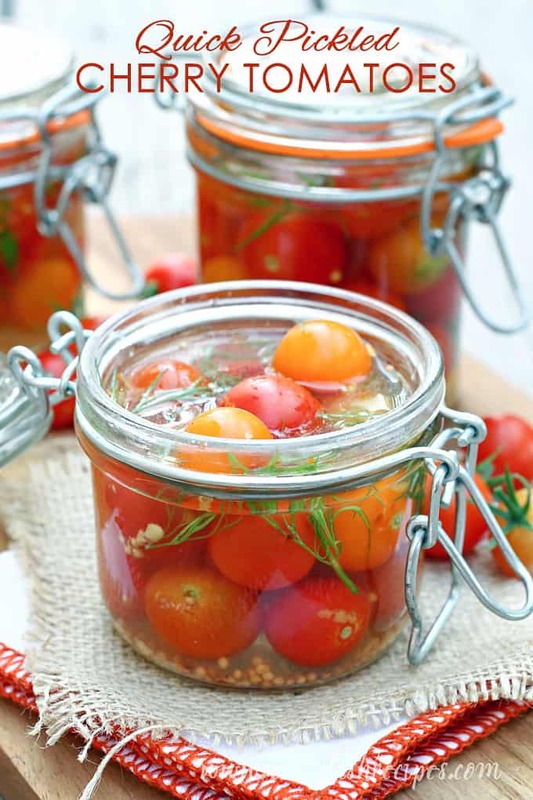 And this condiment is a great way to use tomatoes that are a little too ripe to eat, but still good. This vinaigrette is fabulous on a green salad, but it’s also a great dressing for a pasta salad, and a wonderful topping for grilled chicken. 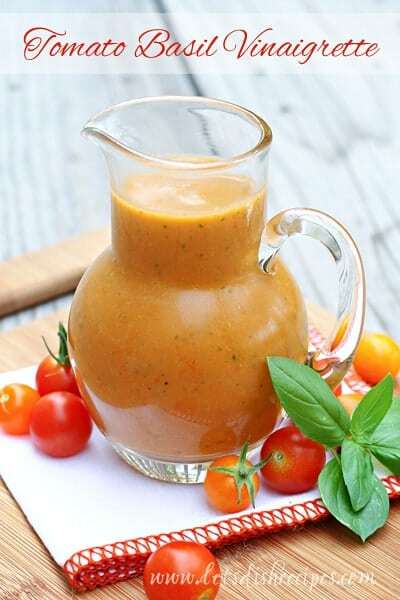 Fresh tomatoes are pureed with basil and seasonings to create this tangy vinaigrette that's perfect for salads, pasta and grilled chicken. Add tomatoes, basil, vinegars, mustard, garlic and 1/2 cup olive oil to a food processor or blender. Blend until smooth. With the machine running, gradually pour in the remaining 1/2 cup olive oil until well blended. Season with salt and pepper, to taste. Refrigerate. Bring to room temperature before using. This sounds like a fantastic salad dressing! I’m definitely going to give it a try with some of my late summer tomatoes. 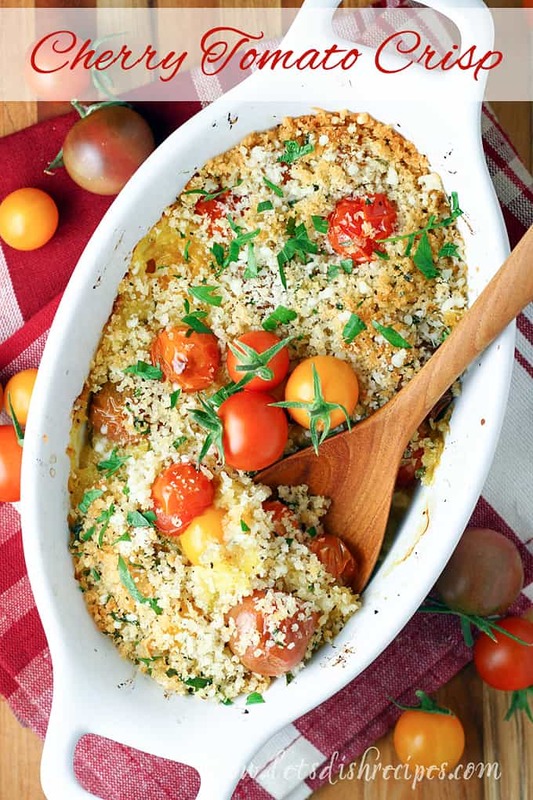 Great Idea for using up tomatoes! This salad dressing is amazing! 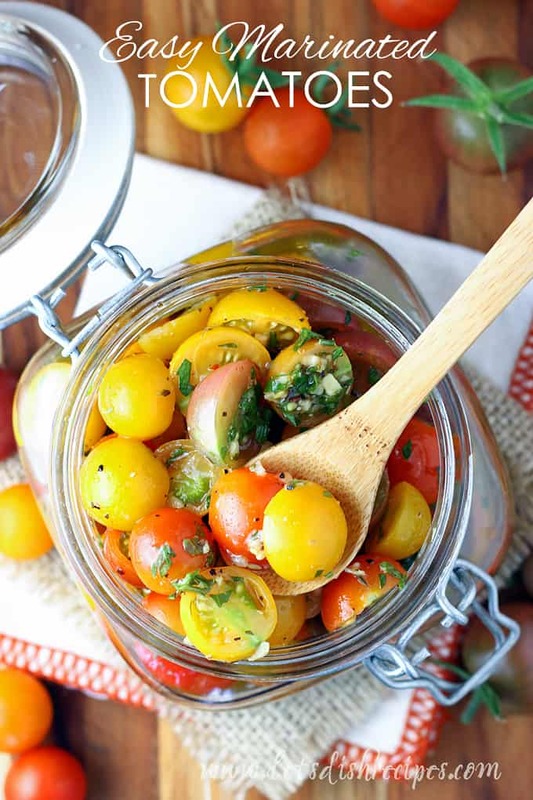 I love vinaigrette and tomatoes, so why not put them together?!! Thanks so much!